Rest assured knowing that your ferry transfers between Mahe and La Digue are booked ahead of time. You'll avoid the possibility of sold-out trips or days and be able to just focus on enjoying the scenery on your trip. Simply show up at the ferry terminal with your ticket in hand and step aboard the ferry for a seamless experience. Ferry Transfer as per confirmed booking. 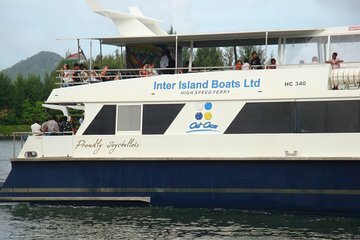 Excellent and reliable Ferry Service between Mahe and La Digue Islands.